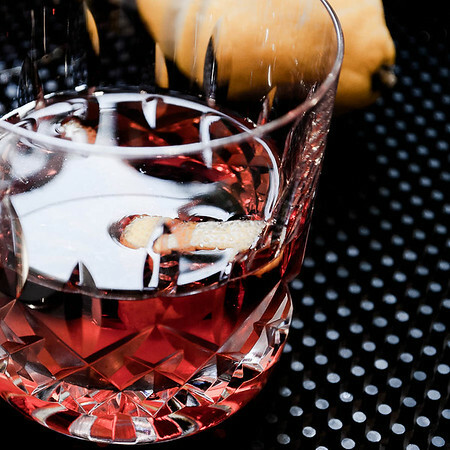 The Negroni has inspired many cocktails, but few (most famously, the whiskey-based Boulevardier) have used its equal parts model literally. So I was intrigued when I came across the Agavoni, a tequila-based version of the drink in Robert Hess’s Essential Bartender’s Guide . A cocktail as good as this needs a decent and inspiring name. My hope is that someone with more clout than I will manage to hang a proper name on this drink. Harry McElhone managed to come up with the elegant “Boulevardier” for the whiskey-based variant. The tequila version—as well as the mezcal—deserves the same serious attention. And I will call this drink a Tequila Negroni until something less embarrassing comes along. Stir all ingredients with ice until very cold; strain into a chilled rocks glass. Optionally, serve with ice; optionally, garnish with grapefruit twist. The gin of the original Negroni, with its own crisp herbal character, is a perfect foil for Campari’s flavors. It turns out that white tequila does a fine job, too. The tequila replaces the juniper-forward crispness of London Dry gin with a softer agave grassiness. 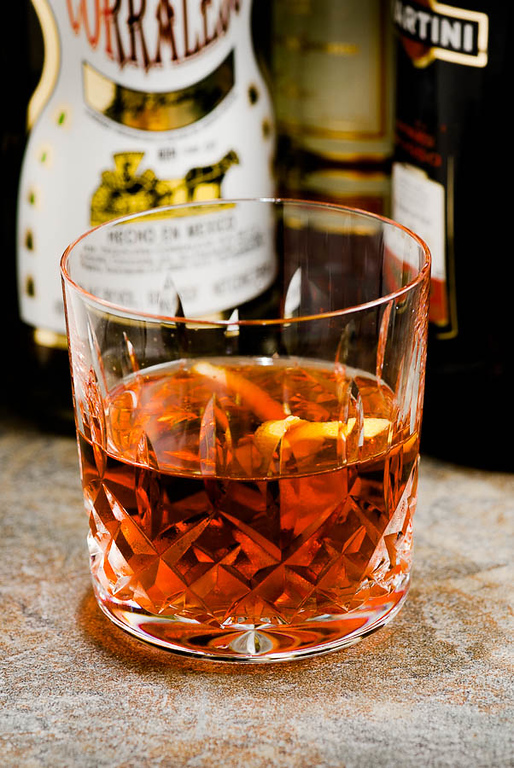 According to Hess, Bastian favors Tapatio Blanco tequila for this drink, and Carpano Antica vermouth. I had fine results with the more readily available El Tesoro and the slightly lighter Corralejo. I used our standard M&R Rosso vermouth, and it seems to work just fine, but I have seen many recommendations to use Carpano with Campari—the story is that the Carpano rounds off a little of Campari’s bitterness, which some find to be a welcome effect. I don’t have a lot of experience with mezcal; the Sombra I used here is the only one I’ve sampled. I found it very pleasant, rather Scotch-like, and a very easy sipper. It adds a slight smoky nose, of course, and it seems to have a slight viscousness that takes the edge off the Campari a bit, and makes the cocktail both richer and gentler in flavor. Punt e Mes works very well in this mix; the flavors blend well with both the mezcal and the Campari. M&R Rosso is good; Punt e Mes is better. The tequila version of the Negroni is pretty good, but I’m delighted with the mezcal variant. I’ve written before about the eye-opening qualities of variant cocktails, like a Sazerac made with aged Genever; the mezcal-based Negroni is in the same class as that Sazerac, a turn from tradition that presents a new and enlightening experience. “Tequila and Mezcal — Messing with the Negroni” at cold-glass.com : All text and photos Copyright © 2012 Douglas M. Ford. All rights reserved. “Bracing,” that’s a good word for it. It’s not a cocktail to be taken lightly. Glad you enjoyed the posting. That drink (a tequila Negroni) is called a Thin Kimono. So says a poet in Montana. A Thin Kimono. That is certainly a more evocative name than the clumsy “Avagoni,” and more interesting (despite obscurity) than the simple, but widely used “Tequila Negroni.” So here’s my thanks to Montana poets, and to you, Wane, for passing the name along.